Recently, we ran across an article from our good friends over at Bob Clements International that we just had to share. You can find the link at the bottom of this blog post. KPM and Bob Clements share a joint passion for helping outdoor power equipment dealers be as successful as possible. 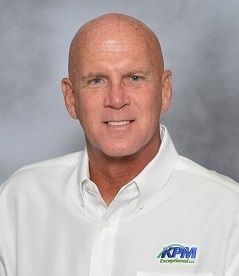 Over the years, Bob Clements' has assisted KPM with dealer meetings, education, and other trainings. In the article, Bob Clements shares some excellent business tips for what to focus on during the "slow season" that we all experience at one time or another. Sometimes its great to just sit back and take a deep breath. Especially after a season as incredibly busy as this past season. (Who could have predicted the rain and mowing conditions we saw in 2018?) After your deep breath, Bob's article offers some great improvements that you can make during a slow time. Working in such a seasonal business has its pluses and minuses. The article does not make mention of leaf season, nor does it discuss snow season. Up here in the Northeast, we take leaf season seriously. Some years, weather makes leaf season longer, shorter, earlier, or later. This makes it very hard to plan for. As we write this the leaves are still 100% on the trees in NJ, with no indication of any color change yet. For many dealers in our footprint leaf season can be a very busy time of year - a lot of activity all condensed into a few short weeks. Still, the spirit of Bob's message to dealers is a solid one. While the timing of a "slow time" will be different for every dealer, the concepts Bob touches on are applicable whenever your business slows down. Instead of worrying about doing all of this stuff at once, take one or two of Bob's suggestions and prepare for it. Have it ready to go so that when that elusive slow day hits, you can knock out the item from your list. Constant, incremental improvement of your business is a great goal. Its one that we at KPM put a concerted focus on - trying to get just a little bit better each day, day after day, month after month.